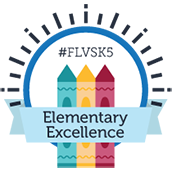 In 2004, the legislature expanded FLVS to provide a full suite of middle school courses, along with the already existing high school courses. In 2006, they did the same thing for elementary. 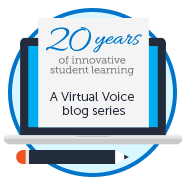 By 2008, the legislature was authorizing districts to provide virtual education and then requiring an online course as a graduation requirement in 2011. In 2017, the remaining restrictions in the FLVS statute on access were removed. As a policy enthusiast, it is really cool to see the evolution and expansion of statutes that authorize FLVS and online education. What started as few lines of legislation found in one place has grown to many in multiple statutes. You have to wonder if the original writers of the first FLVS legislation ever pictured the growth and popularity of online education in Kindergarten through grade 12. Those writers were willing to take a chance on innovation and put education in uncharted territory. Thank you! This entry was posted in Educator Edition, Homeschool Edition, Parent Edition, Student Edition and tagged #FLVSTURNS20, 20 Years at FLVS, 20th Anniversary, A Day in the Life, History, History of Florida Virtual School, History of FLVS, History of Online Education, innovation, Looking Back, Milestones, Online Learning, Online Learning in 1997, Opening of FLVS, Trends in Online Learning on May 31, 2018 by Holly Sagues.